What do many entrepreneurs, bloggers, tech start-ups and creatives all have in common? They are all predominantly based outside the confines of a fixed office space and tend to travel a lot. Previously, they would be packed into coffee franchises in cities across the globe making use of the free wi-fi and so-so coffee listening to godawful music. If they were lucky, they may even find a quirky coffee shop with a decent bean and roast profile to give them an extra little buzz. But what happens when its closing time and you have to go back to your stuffy hotel with its unwelcoming lobby lounge and expensive restaurants? Make way for the new wave of communal social hubs that just so happen to be based in the confines of a hotel… but please don’t call this a lobby lounge. 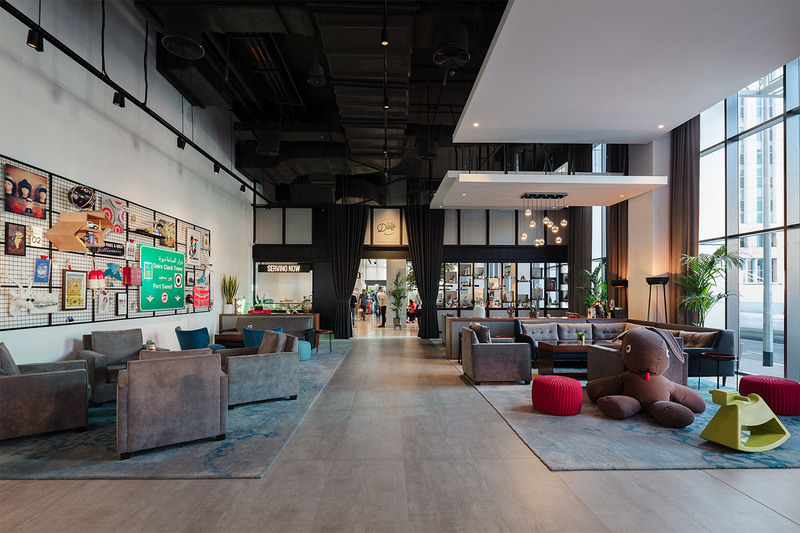 This creatively inspiring and locally connected gathering space is giving hotels a new sense of purpose, one that brings people into the property during the day. Travellers and local residents now have a place to stay and work that does not have a one hour time limit on wi-fi, where you don’t have to eat macaroons and drink earl grey, and you may even be allowed to speak to the person next to you. Whether it is Ace Hotel in Shoreditch or Rove Hotel in Downtown Dubai – visit these places at 11am on a Monday morning and you will find them packed with people tapping away on their laptops, sharing ideas, and generally enjoying the animated vibe. You won’t find any elevator music here, think more Blood Orange, Kaytranada and Anderson Paak. There will be no side glances if you don’t buy a drink on the hour, every hour so you can rest assured your wallet and caffeine in-take won’t take a beating. So, what does this mean for the hospitality industry – how do socially connected hotels make money? Well let’s say I know where I will be looking to stay next time I travel. Instead of being empty vessels during the day these hotels are alive, and that’s before they then transform into social eating and drinking spaces – where it is hip to work in the afternoon, it also feels right to be there at night for a round of Mezcals and craft beers. As creatives ourselves, we are delighted to see this new trend in hospitality and absolutely love knowing we have a place to work and play as we travel the globe. You can read more about our work with Rove Hotels on the case studies page.